Coalition Members: The World Affairs Council-Washington, D.C.
To prepare young people to compete in the 21st century market, the Council helps fill the global education and international affairs knowledge gap in the curricula currently offered by our country’s school systems. The Council’s teacher development workshops, in-depth issue seminars, youth leadership forums, Academic WorldQuest competitions, internships, and international travel-study tours foster a balanced view of global issues. These programs facilitate worldwide knowledge transfer and analytical insights for American and international educators and their students. Within the World Affairs Council of America’s 98-council nationwide network, WAC–DC is the recognized leader in professional development programs for educators. To date, over 1,100 American and international high school educators have participated in 28 annual Institutes on International Affairs, resulting in a direct impact on more than 500,000 students in the US and worldwide. 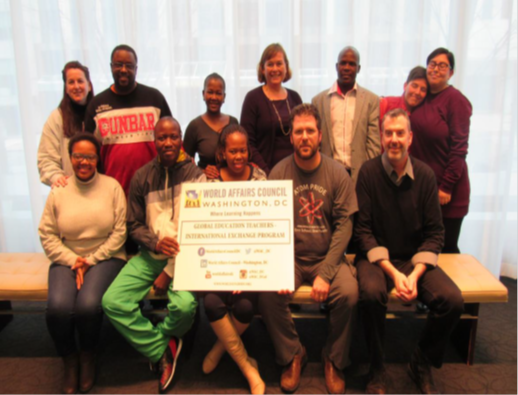 Most recently, the Council launched its Global Education Teachers-International Exchange Program (GET-IEP) which offers teachers from the DC-metro area and South Africa a true two-way exchange as they work collaboratively to create global education curriculum used in both U.S. and South African classrooms. In 2015, WAC-DC launched a new program made possible by a generous grant from The MasterCard Foundation. This year-long teacher exchange program, between 6 Washington, D.C. area and 6 Johannesburg, South Africa high school educators provides a two-way cultural exchange and professional development opportunity for teachers to develop curriculum around WAC-DC’s 10 global competencies and major global education themes. Each year, WAC-DC hosts several one-day workshops focusing on current issues in international affairs. These programs allow educators to delve deeper into relevant and current topics, to better present information in the classroom. Professional development credit hours are awarded at each of these workshops. Monthly webinars give educators and students an up-close and in-depth account of current events and global issues as they unfold. Experts deliver a 30-minute presentation followed by a 30-minute Q&A session allowing participants to interact with the expert. All programs are recorded and posted to our YouTube channel. Since 2001, over 6,600 students from the national capital area have benefited from the council’s Youth Leadership Fora. 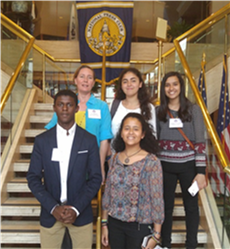 Over the past ten years, the council’s Young Ambassador Scholarship program has created international travel-study experiences for nearly 70 deserving area high school students from economically disadvantaged backgrounds. 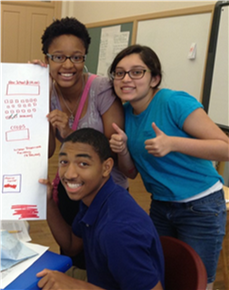 WAC–DC is aware of the need to bring this type of learning experience to the area school systems, and is actively engaged with an outreach program involving world history, geography, civics, social studies, and international affairs teachers and their students to help address the global education gap. This one-week enrichment program offers students from around the DC metropolitan area an opportunity to engage in international affairs issues with like-minded peers during the summer. Through hands-on simulations, discussions with experts, and small group activities, students explore globalization and its impact on the world today. WAC-DC partnered with the World Affairs Council of America’s Academic WorldQuest and bring international students in from Cairo, Egypt’s Hayah International Academy. Each year, four students and one teacher from the Academy travel to DC to compete in the completion. The week long immersion program lets the students experience U.S. culture and history. Academic WorldQuest is a flagship program of the World Affairs Council network. Teams of four high school students compete against each other on knowledge of current international affairs, geography, history, and culture. These day-long forums focus on a specific regional or international policy issue, and give students a unique opportunity to put themselves in the position of policymakers through discussions with experts, group exercises, and real-world simulations. Past Forums include Climate Change, Africa, Global Poverty, and Darfur. This scholarship program has sent over 80 deserving area high school students to Costa Rica for a complete cultural immersion. During this 3-week adventure, students have an opportunity to explore Costa Rica’s rich and incredible biodiversity, language, and culture through homestays, intensive language and cultural immersion, and group projects.